The place looks not unlike a typical college classroom. Fifteen to 20 people crowd around a couple of long, conference tables sandwiched together in the middle of a large room. Another 20 students spill into folding chairs perched against the paint-chipped walls or sit precariously on an old steam radiator, legs swinging languidly and eyes locked rigidly on the absentminded-looking professor type conducting the class. But on second glance, the similarity to a structured college classroom scene is only superficial. One difference - the disparity in the age range, dress, demeanor and obvious social backgrounds of the students - is too broad to fit the general uniformity and air of forced casualness prevalent in most university courses. Another differences that sets these people apart for the typical college class is the attitude of the myriad group. Virtually to a man, they all share the enthusiastic interest and the avid fascination of the true aficionado - not the studious but bored complacency of students who have to sit through a required course to satisfy a degree requirement. But mostly, the big difference is the awe and respect they all seem to hold for the man holding court at the head of the table. To them, he's more than just a teacher or a lecturer. He's a aster storyteller who has his flock spellbound with romantic and exciting tales of a glorious by bygone era many of the individuals in the room would probably give their eyeteeth to have been a part of. The course is a free class in martial arts philosophy and history offered at the YMCA in the heart of San Francisco's Chinatown. The instructor is a man whose name is as familiar to most martial arts practitioners as the crew cut and bow tie he sports. 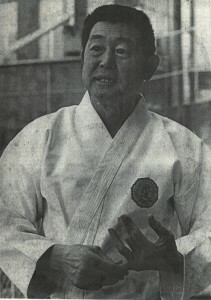 He's Richard Kim, author, historian, instructor, and one of the guiding lights of the world-wide Butokukai Association. Kim's tone, bearing and attitude are those of an academic, a man who derives as much joy from learning as he does from teaching. "Basically," says the 58-year-old martial artist, explaining the purpose of his class, "the philosophy of the samurai was enlightenment. This is the conclusion that the martial arts masters and the samurai came to and which I learned in all the years I've been involved." Kim is one of the few contemporary instructors in America to carry on that code of "enlightenment" with a degree of thoroughness and expertise that would rival the efforts of a Harvard professor. 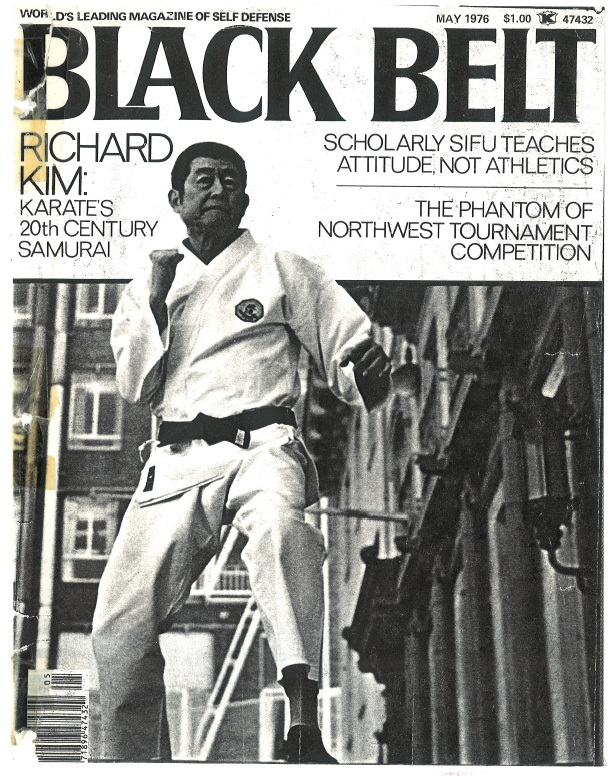 Aside from the regular classes he teaches every Saturday at the Chinatown "Y", he also authors a monthly philosophy column for BLACK BELT magazine's sister publication KARATE ILLUSTRATED and lectures at a summer cap held by the All American Karate Federation every year at the University of California at San Gabriel. All of his teaching activities, by the way, he performs for free, including the karate course he teaches prior to his philosophy classes. "It's more of an avocation with me," he explains modestly. The philosophy aspect of his teaching, however, may be more int eh nature of compulsion, rather than avocation. He has a fervent belief that the cultural background of the arts is as important for a student to understand as is the application of a basic technique. "On a purely physical basis," Kim explains, "there is no difference between man and animal... But man is different from the animal in that man is a spiritual person. Being a spiritual person," Kim insists, "he needs philosophy." The middle-aged sensei has had plenty of years of experience to collect material for his philosophy classes. His baptism of fire int eh martial arts came about almost 50 years ago in Hawaii, where his mother insisted he take up judo. "My mother made me," he laughs, "and I hated it ever since. She thought that the martial arts could make a person learn respect. The way she put it, "the respect that one human being owes to another you can only learn in a combative environment..." She felt that the tenets of the Japanese martial arts being bushido would make a person, at lest, have respect for other human beings, and she felt that respect is the only achievement. Hi mother's viewpoint that a combat environment breeds respect seems to be somewhat of a paradoxical statement, but Kim explains it away simply. "The martial arts are in an environment that's combative," he says. "But it is like being int he eye of a typhoon because it is highly philosophical - it's not fighting. Street fighting on the other hand is combative but it is not philosophical." 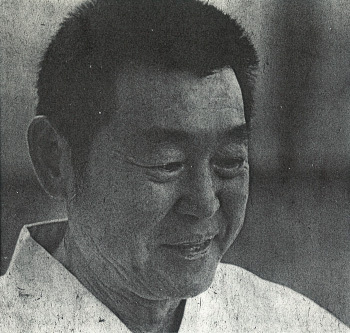 Kim won his fits black belt in judo in 1941 but two years prior to that, he toured China and studied tai chi and pakua under, "Chien Chen Wa, that's how I pronounce it," he laughs. 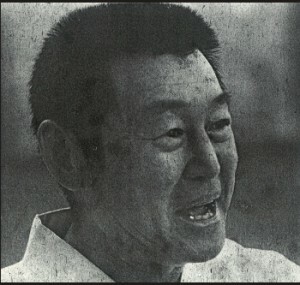 in addition to the Chinese arts, he also studied daito ryu jujitsu, and shorinjiryu kenpo karate. It was during this period, in fact, that Kim made a tour of the Orient with the express purpose of studying the different martial arts. 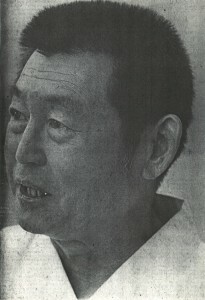 When war broke out between Japan and the United States, in 1941, he was visiting Japan and was unable to return to his home in Hawaii. 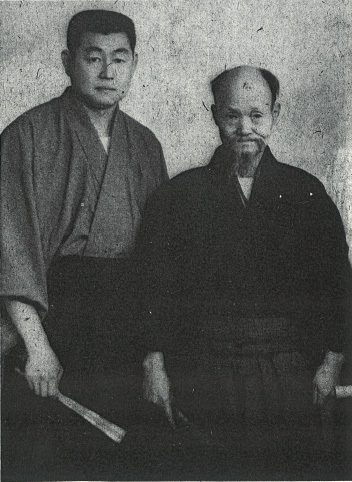 but he used the war years to learn as much about Japanese karate as he could, and he became particularly enamored with the philosophy behind it. "Japanese training," he says, "is philosophical, diametrically opposed to the Chinese training even though it may appear to be the same. "All the martial arts tell you that the first move is defensive, that's the premise of the martial arts. But the connotation takes in a very wide area. Most people, if you tell them their first move mst be defensive, will wait for the enemy to hit and then counter. Now, with the Japanese saurai mentality, the fight starts when the issue or challenge comes up - an offensive, defensive move. "For example," he explains, "suppose you and I get into an argument and you were the kung fu champion of Shanghai. We would argue, say in a restaurant, and then we go out int he street. As soon as you square off, I hit you because the fight started in the restaurant. It is a defensive move but looks like an offense and lot of people cannot see that. "That is where the Japanese karate training - what I call true karate- - has the advantage. A lot of people do not understand the semantics, for instance, of the karate man never delivering the first blow. Semantically, you would envision a karate man standing there waiting to respond to a blow. but once there is a challenge, the contact has begun and you defend with an offensive defense." Kim's travels in the Orient also introduced him to the various Chinese styles. In addition to the soft styles of tai chi and pakua, he studied, he had an opportunity to take a look a the harder styles which have come into vogue recently. And, from personal experience, he seemed to be pretty much unimpressed by them. "My only involvement with the hard style kung fu in China," Kim recalls with a good-natured laugh, "was six bouts with kung fu champs, and I knocked them all out. that was it. That's why I'm convinced that a combination of judo, Japanse karate, and Chinese tai chi and pakua can take care of any hard style kung fu people. "The kung fu people," he explains again, referring tot he hard stylists, "fight along one style - it's whatever particular school they follow, and they are not flexible... Their efficiency is so highly specialized... you have deficiencies because it is a very narrow field. The specialty calls for that. But I have found that the person who is a generalist has an advantage in a physical encounter." Physically speaking, Kim sees no difference between man and animal but, because humans are spiritual, he believes people nee philosophy. Expressing practial views on defensive arts, the instructor feels a combination of Japanese karate, judo, and Chinese tai chi and pakua would be the winning formula against any hard style kung fu. It's just for that reason that he's so impressed by the softer styles that stress not just physical flexibility, but back to his favorite topic, philosophical flexibility. "You'd be surprised," he says earnestly. "In my experience, the best fighters are the tai chi people. They can beat any of the hard style kung fu schools if came to the nitty gritty because they and the pakua people are philosophically flexible. You see, they can extrapolate from any situation and even follow back on an attack that being give out." It's apparent, even to the most uninitiated in the arts, Kim is the personification of the classical martial artist. Yet, interestingly enough, despite his infatuation and deep abiding interest in the traditional tenets of budo, his views on the arts, particularly the sport aspect, are as contemporary as the brashest young black belt's. He welcomes the recent full contact trend and he's even enthusiastic over the potential benefits it can lend to classical karate. "If it's done right," he insists, "I think it will help classical karate.. Contact karate does not step on traditional karate. Traditional karate is, just to use another expression, a different kind of animal." Nevertheless, he hastens to add, "Professional karate is not a martial art - bushido and all. It's a sport like boxing, and it's a different arena..., but not everybody can participate in it. But classical karate, anybody can engage in it because you get taught respect and dignity of one human being over another. Also, it give you some means of self defense in case your life is on the line. That what it's meant for. It is not meant for some guy to go in the ring and be the Cassius Clay of karate." In the same vein, Kim doesn't appear to be too concerned as many traditionalists are, that the arts are moving too far away from the classical heritage, as long as the philosophical aspects are left intact. "It has changed in America and probably Japan," he concedes "but the purist - a true karate man - his art, as he teaches, is exactly as those before him. Karate in America has changed because the styles have been simplified, but this is all on the physical level... Students we turn out may be a high on a physical level, but if he moves to the sporting arena -which has wide appeal - he must not lose the philosophical. That is why we separate the amateur from the professional." To Kim, the philosophy and the arts are inseparable. On virtually every topic he touches on, as far as the martial arts are concerned, he uses the word over and over again. But as it's been pointed out, it's not a stodgy, unalterable view. He applies the lessons he's learned from the old masters to the newer concepts brought out by his contemporaries. And that too, is an idea he borrowed from the past - the samurai tradition of enlightenment. Rosmarinus Stehlik liked this on Facebook.